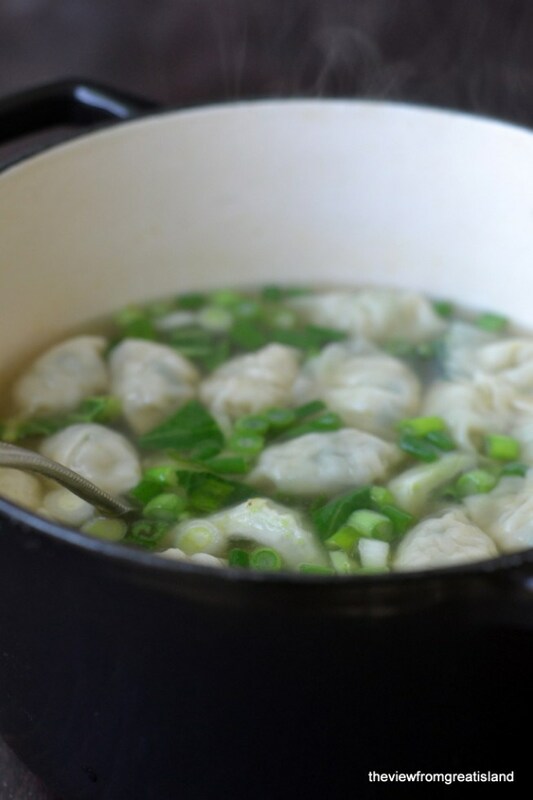 Miso Wonton Soup is an easy 30 minute meal made with frozen chicken dumplings and healthy Japanese miso paste ~ everybody loves this comforting soup! “I just had to drop by and let you know that this soup is really delicious and MY KIDS ATE IT. 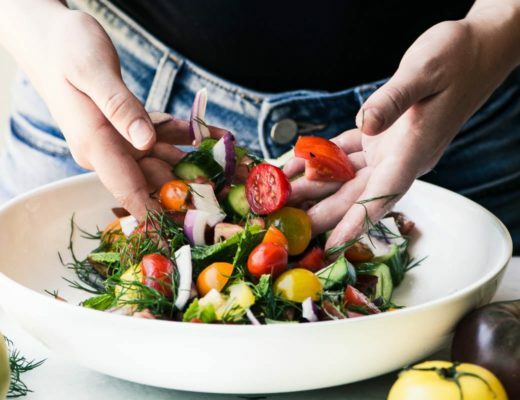 How nice is it that simple, clean, and healthy food is so often the easiest to throw together. It’s almost embarrassing how easy. This Miso Wonton Soup doesn’t really even cook at all in the traditional sense, so if you can boil water, you can make it. I hate to insult your intelligence by posting the recipe, but if you’re like me, it sometimes helps to be reminded, visually if possible, of easy solutions for those times when you’re hungry, cold, in a hurry, and your mind decides to go blank on you. 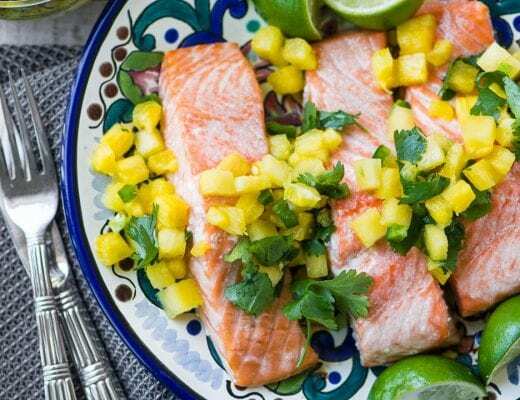 The secret to this warm, satisfying and low calorie lunch is in the freezer. It’s a bag of frozen mini chicken and cilantro wontons. I got them at Costco, but you can find them at Trader Joe’s and other places. 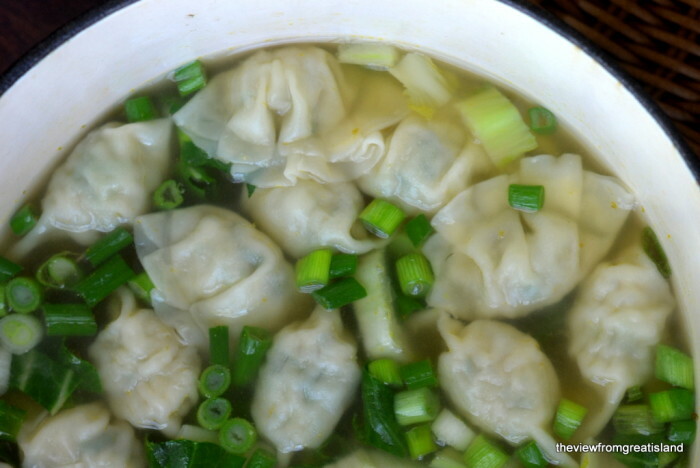 Between the canned broth, the miso paste, which keeps forever in the fridge, and the frozen wontons, this is one of those recipes you can make on the fly, no trip to the grocery store required. The veggies can be almost anything you have around…if you don’t have baby bok choy, scallions and a carrot you can use frozen peas, celery, bell peppers, mushrooms, anything you like. Just slice them very thinly because they don’t get simmered in the soup, they become crisp/tender on contact with the hot broth just before serving. Nutritious miso paste turns chicken broth, or water for that matter, into a rich savory soup. It’s made from fermented soybeans or grains, and comes in several variations such as red, white, and yellow. 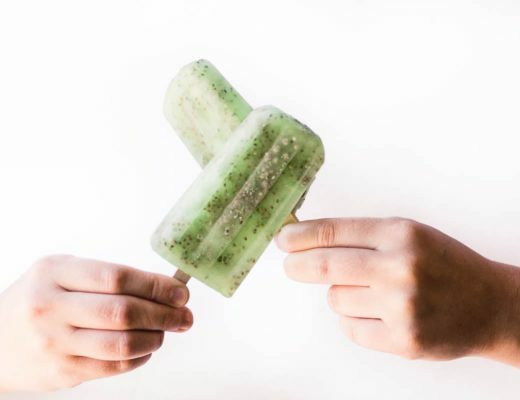 They vary in flavor but can be used interchangeably. You’ll find it in a refrigerated section along with wonton wrappers and tofu. Miso is such a versatile condiment, I’ve used it in everything from Miso Soup and Miso Ramen, to Miso Salad Dressing, and it adds an instant ‘umami’ touch to any sauce or gravy. A lot of people say the Japanese have the healthiest eating habits on earth. All you have to do is look at Japanese food to see the striking differences between it and most of what we eat in the West. From the thin broth, to the delicate, translucent wonton wrappers, to the paper thin slices of carrot, this soup is the model of restraint. If you’re looking to get a little healthier in ’14, or lose a pound or two, this is your soup. A simple, nourishing, delicious soup in 30 minutes. Heat the broth and water to a simmer in a saucepan. Add the wontons and simmer gently until they are heated through, this will just take a few minutes. Add the miso to the soup and stir until dissolved. Add the veggies and bring the soup back to a simmer. 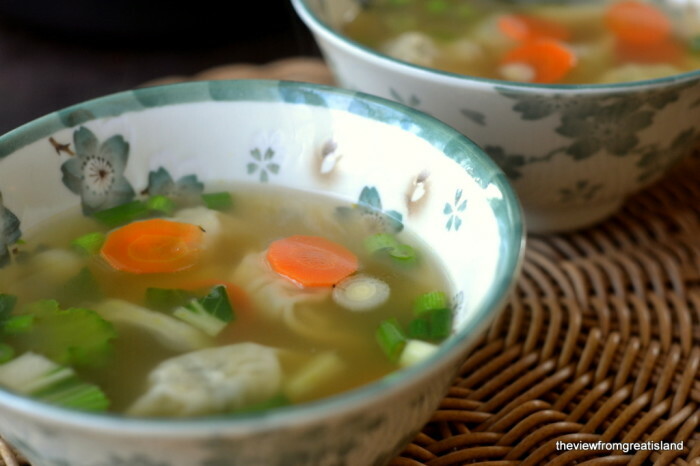 Don’t forget to Pin this Miso Wonton Soup! Hi! Do you think this would freeze and reheat well? I’ve never tried it Laura, but I would think that miso is most nutritious when it’s fresh, and this soup is so quick and easy that I would probably recommend against freezing. I couldn’t find the miso paste, but I did find Miso Soup instant soybean paste soup by Mishima. There are 3 packets inside. Is this what you were talking about, will it work? That would be a different form of miso, Rena, miso paste is fresh and in the refrigerated section of the grocery store, but if it’s all you can find, then go for it, I’m sure it will be delicious. I just had to drop by and let you know that this soup is really delicious and MY KIDS ATE IT. Win win win! Thank you! Yay! That’s always cause for celebration :) Thanks for letting me know Drea. This was delicious! It will now be my go to this winter, especially when I’m sick with a cold. I love soups this and make them all the time. Your soup looks great, I like the added baby bok choy. Once in a blue moon I make my own won tons and they are really good. I love homemade wontons, they are definitely the best, but I also love the convenience of the frozen ones! 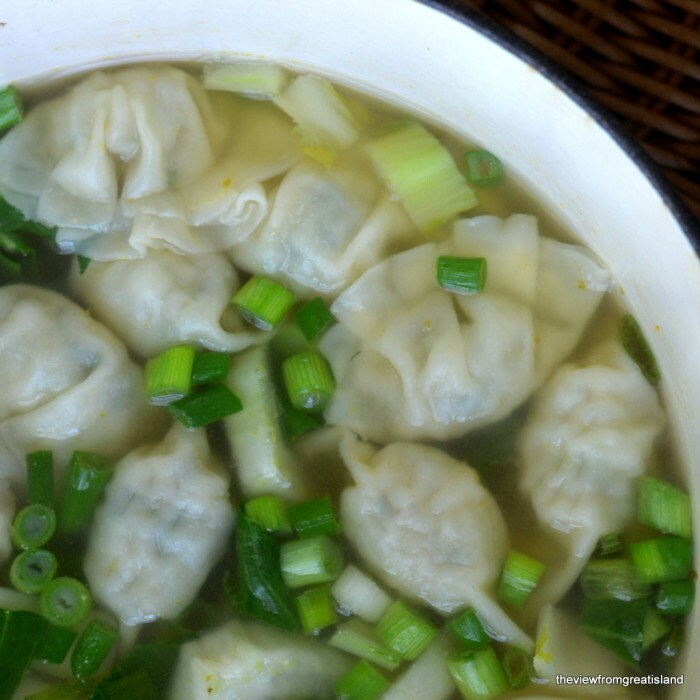 Who knew it was so easy to make wonton soup? The hardest part is how time-consuming wrapping all the wontons is, but the recipe itself isn’t complicated. 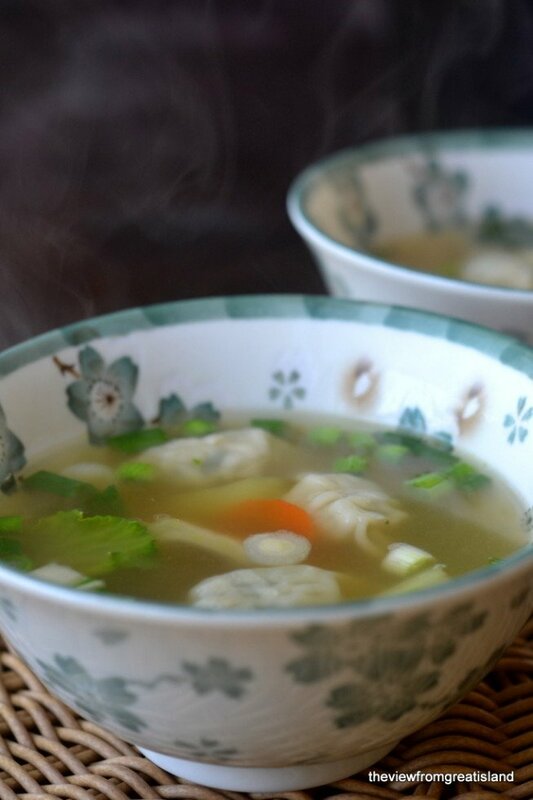 Better than any wonton soup I’ve ever had from a Chinese restaurant, I have used this same recipe to make fish dumpling soup both with and without wontons! I could go for a bowl of this right now! 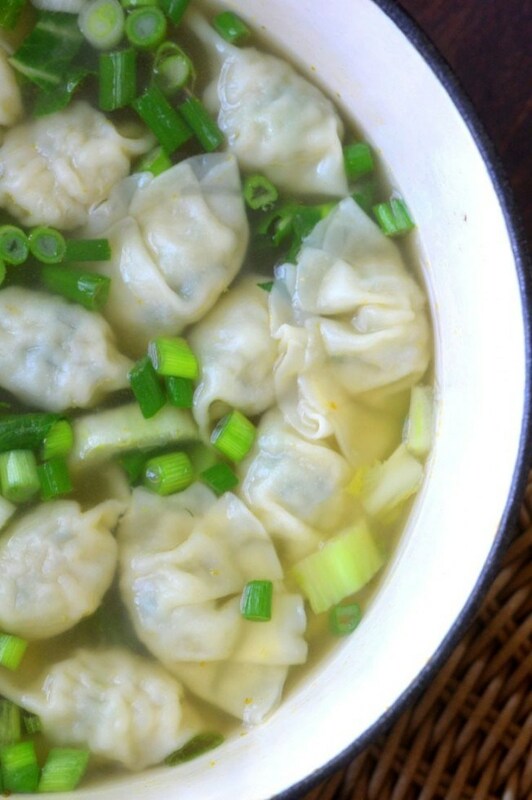 I love anything with dumplings and a warming soup makes it even better. Delicious! Another great soup! I love the wontons in this one and thank you for telling us where to find them. Miso soup happens to be my daughters favorite soup and she has been asking me to make some for the longest time … so Thank you for the recipe, now I can make it for her!! One question, can I find the miso paste in any supermarket? I am so pinning this. Right now I have miso in the fridge and the little wontons from Costco. I’m thinking this would be a great lunch tomorrow! Thanks, Sue! Don’t feel bad for posting a simple recipe, although I will confess that when I blogged about miso soup I was unsure if I should go ahead and do it. But, as you said, sometimes it’s good to be reminded of classic, easy recipes. Simply perfect! Making it tonight! My downfall is resorting to fast food when I’m tired and hungry. Glad you like the recipes!